How to Use Missinglettr - Can I change permissions for my team members? All Categories ​>​ Sites ​>​ Can I change permissions for my team members? 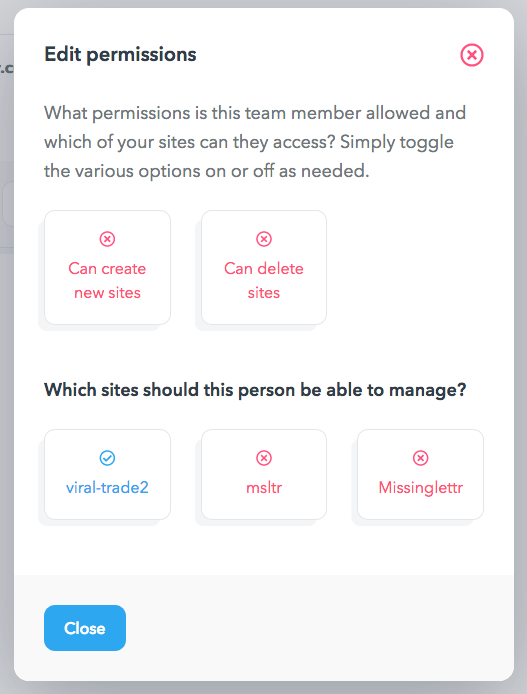 You can decide which team member has access to which site and whether a team member can create or delete sites. After adding a team member, you’ll see an “Access” button under Account > Team. Clicking it will give you the option to allow them access to specific sites, and forbid them from the others.